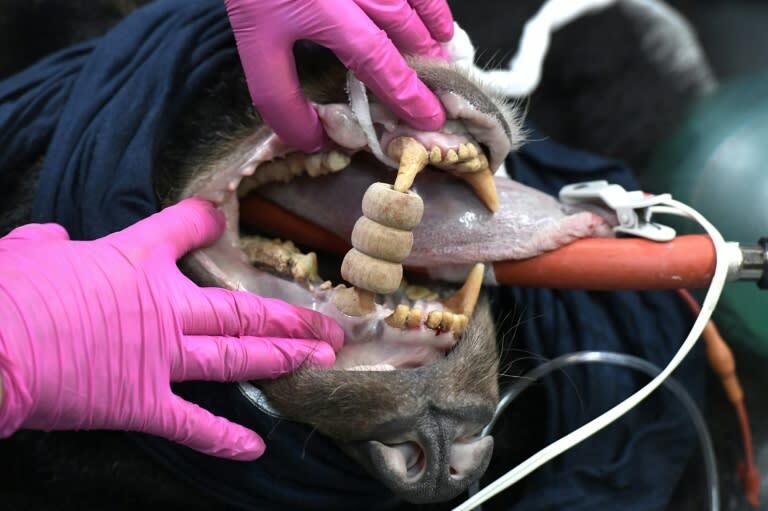 Two moon bears are gently removed from the cramped cages where they have been held for 13 years, rescuers carefully checking their rotten teeth and matted paws before sending them to their new home in a grassy sanctuary in northern Vietnam. The animals are among the lucky few to be rescued in a country where hundreds of bears are feared to have been killed or starved to death as the cost of once-valuable farmed bile has plummeted. 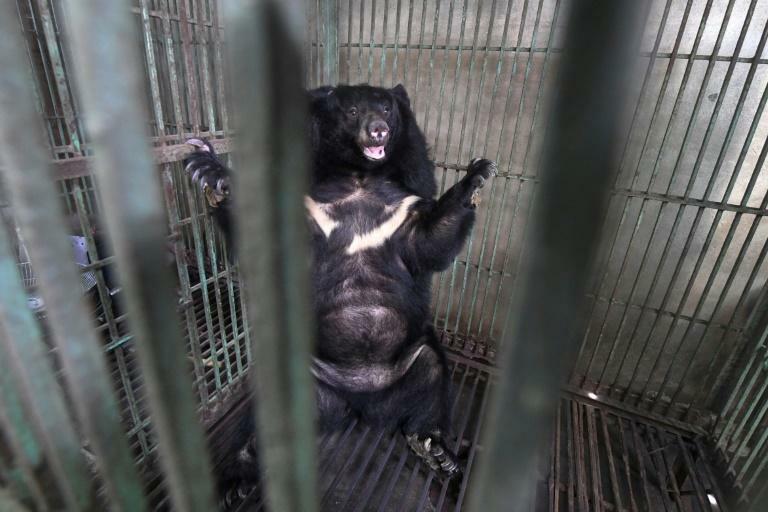 Bear bile is extracted -- often continuously and painfully -- from the animals' gallbladders and used in traditional medicine in Vietnam, where the illegal practice remains widespread. But consumers are shunning the farmed version in favour of bile taken from the nearly extinct wild bear population, which can cost 12 times more, and farmers can no longer earn what they used to from the illicit trade. If consumer demand for wild bear gallbladders catches on, it could spell the end for wild bears, which are killed for the sought-after organ. The trend is also bad news for caged bears, whose owners can no longer afford to keep them alive. "Farmers said it wasn't profitable to keep the bears any more so they started feeding them less and let them die off," Brian Crudge, research programme manager at Free The Bears, told AFP this week. The number of captive bears has dropped dramatically since 2005 from about 4,500 to less than 800 today, according to official data and Crudge, who recently co-authored a study on the issue. With about 200 bears in Vietnam's rescue centres, he said many likely starved to death or were killed off and sold for their body parts. Bear paws are popularly used as a delicacy in soup or liquor, while bones are used for cooking and teeth and claws for decoration or jewellery. 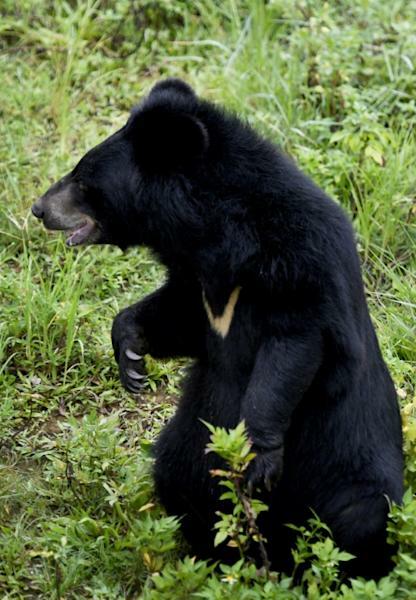 Now it's a race against time to rescue Vietnam's remaining caged bears. "It's quite urgent, we want to get as many of them as we can before it's too late," Crudge said. Some farmers -- who can legally keep bears as pets but are not allowed to extract bile -- have started handing over their bears voluntarily. One farmer told AFP he used to earn $10 for one millilitre (0.03 fluid ounces) of farmed bile, but now only makes about $2, as some consumers prefer to shell out for a supposedly higher quality product from wild bears. "People don't seem to like the bile anymore so it's harder to find customers," said the farmer, speaking anonymously. He used to keep about a dozen bears in cages at his home and now has none, but just smiled when asked when happened to them, refusing to elaborate. Vietnam has come under fire for failing to crack down on the illegal trade, but in a landmark decision last year said it would abolish all bear farms by 2022. It is likely to meet that goal, but not all will make it into sanctuaries with death rates likely to remain steady. But a fortunate few will, like moon bears Hoa Lan and Hoa Tra who were sent to a rescue centre in Ninh Binh province this week. After being rescued from the farm where they have lived since 2005, they will spend a few weeks in quarantine before being allowed to frolic in the grass with their fellow rescuees -- which will require some courage after so many years in a cage. "It's pretty scary for them at first. It can take several weeks until they're brave enough to go around the enclosure," said Emily Lloyd, animal manager at Four Paws Vietnam, which runs the sanctuary.